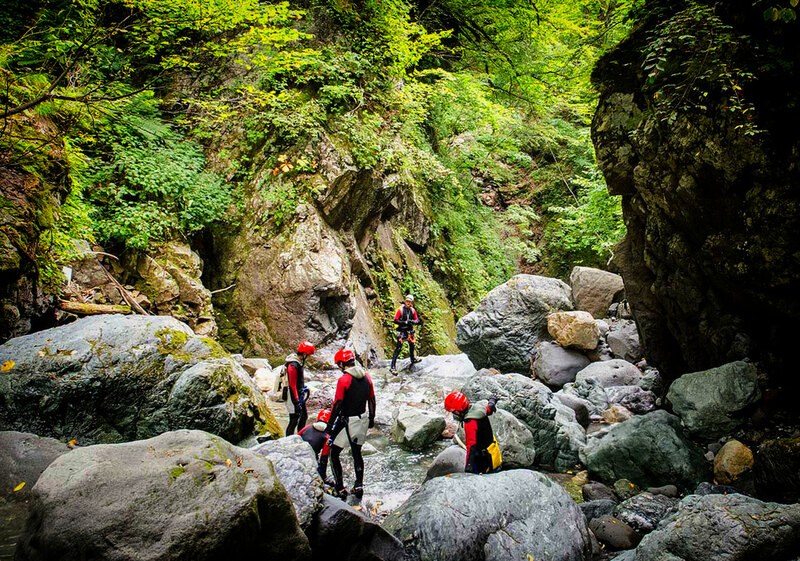 Dictionary of Terms used in canyoning. Abseil The process by which a climber can descend a fixed rope. 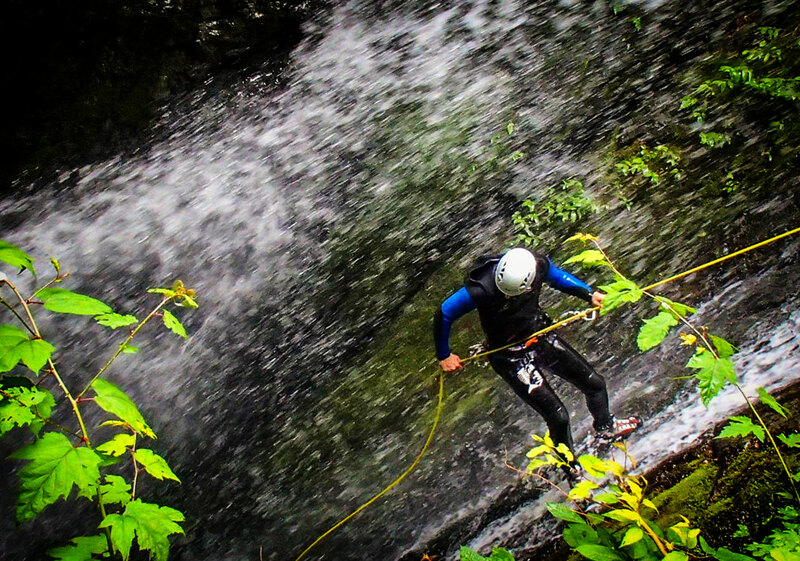 Also known as Rappel. Anchor Point where the rope is secured to the rock with bolts, rocks, slings, trees or other gear. Ascender A device for ascending on a rope. ATC Air Traffic Controller. Descender / belay device used commonly in climbing. Belay Controlling the rope that is fed out to the climber or abseiler. Beta Information or advice about a route given by other canyoners. Bolt A point of protection permanently installed in a hole drilled into the rock, to which a metal hanger is attached, having a hole for a carabiner or ring. 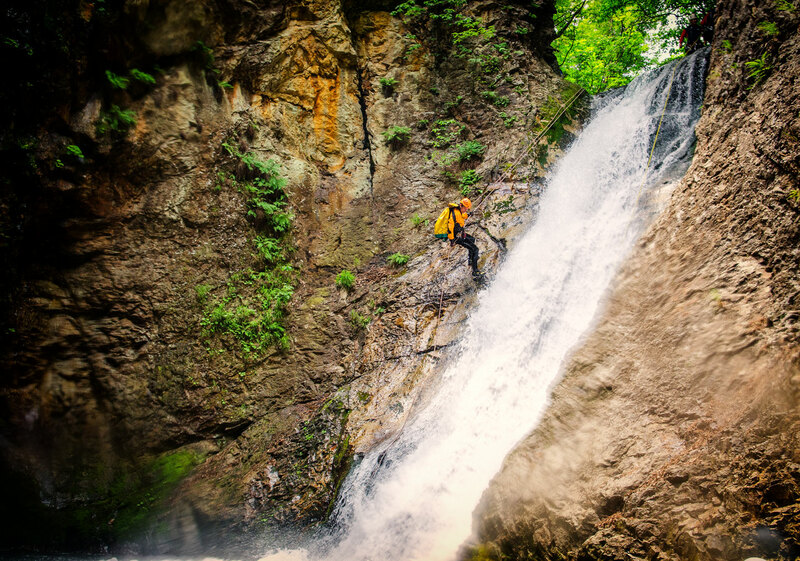 CAM A spring loaded device used as rock climbing or mountaineering protection equipment. Carabiner Metal rings with spring-loaded gates, used as connectors. Usually oval or roughly D shaped. Also known as crab or biner. Chockstone Rock or boulder wedged into a narrow canyon or crack. Cowstail A length of dynamic rope with a carabiner attached that allows you clip into anchors. Daisy Chain A sling sewn with several loops. Deadman An object buried into the ground to serve as an anchor for an attached rope. Diversion An additional anchor part way down that changes the angle/position of the rope. Figure8 Descender / belay device shaped like an 8. Fixed Protection Bolts, rings, pitons and other pieces of unremovable protection that maybe found in a canyon. Handline Down climbing a fixed line. Harness A sewn nylon webbing device worn around the waist and thighs that is designed to allow a person to safely hang suspended in the air. HMS Carabiner A round ended carabiner specifically for use with a Munter hitch. LAMAR LAst Man At Risk. Piton Metal spike hammered into cracks to act as a safety point. Prusik A knot used for ascending a rope. Pull Cord A rope used to retrieve a fixed abseil line. Rebelay The second anchor point part way down the cliff wall or waterfall. Rebolting The replacement of bolts. Scrambling A type of climbing somewhere between hiking and rock climbing. Sling Webbing sewn, or tied, into a loop. 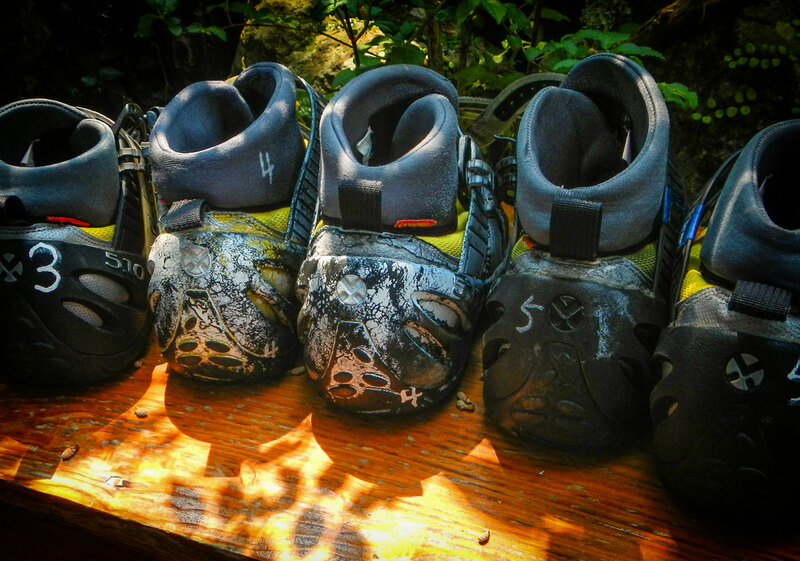 Smearing To use friction on the sole of the shoe, in the absence of any useful footholds. 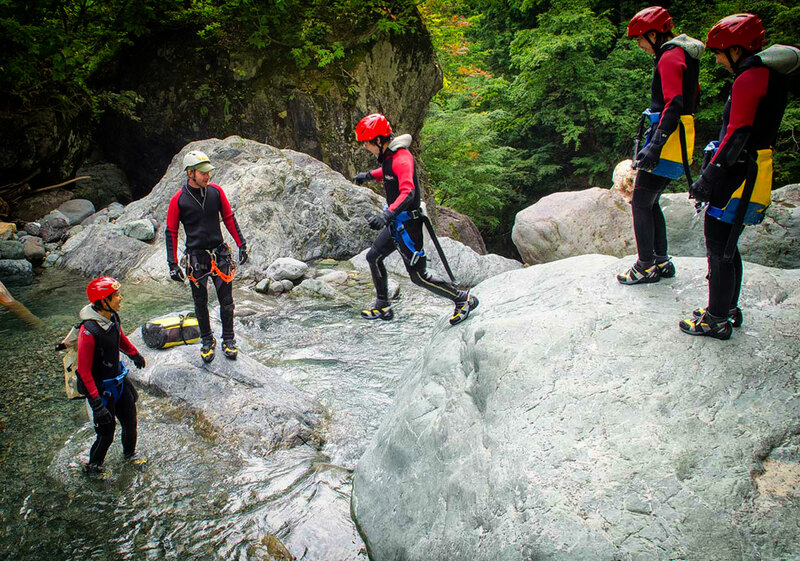 Soloing Canyoning alone without a partner. Static Rope A non dynamic rope. 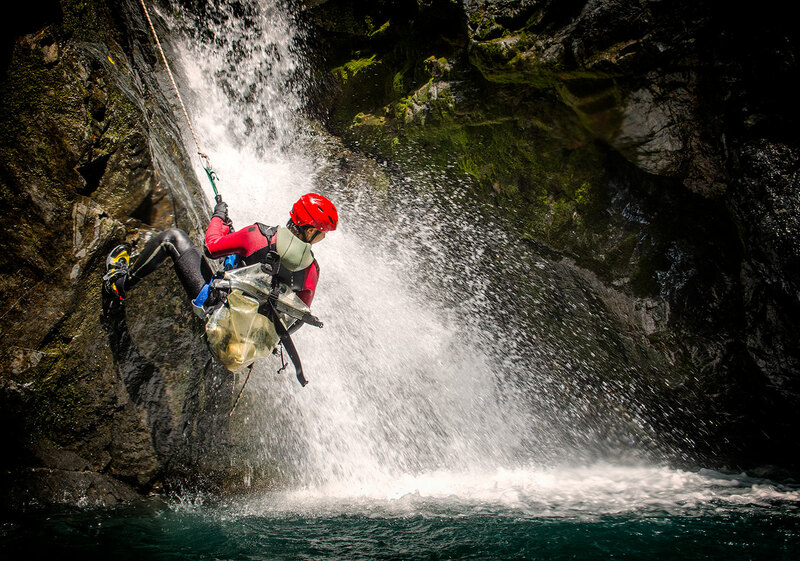 Static rope is mostly used in canyoning. Stem Climbing using two faces that are at an angle less than 180° to each other. Webbing Woven flat nylon strip material used to make slings. Zip Line A fixed line for sliding down. Also known as Tyrollean Traverse.